This picture shows a rebuilt Bullied light pacific on the up line near Fleet, Hampshire in the winter of 1966, 67. 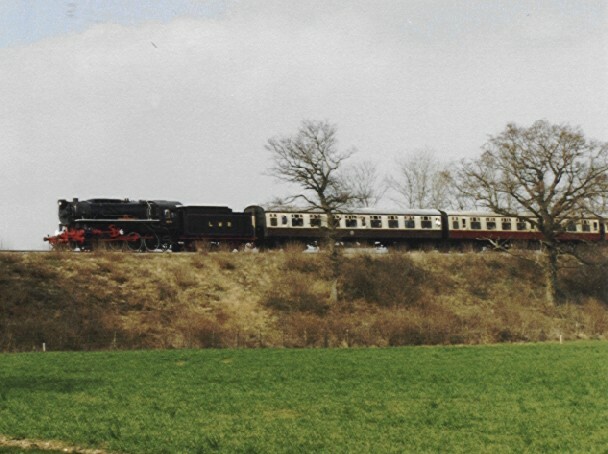 I scanned this from "Steam Into Wessex" by Mike Esau, published by Ian Allan, ISBN 0 7110 1998 3. The picture is of his son with his apparently amazed bear. I am very familiar with this view having cycled past this field on countless occasions. 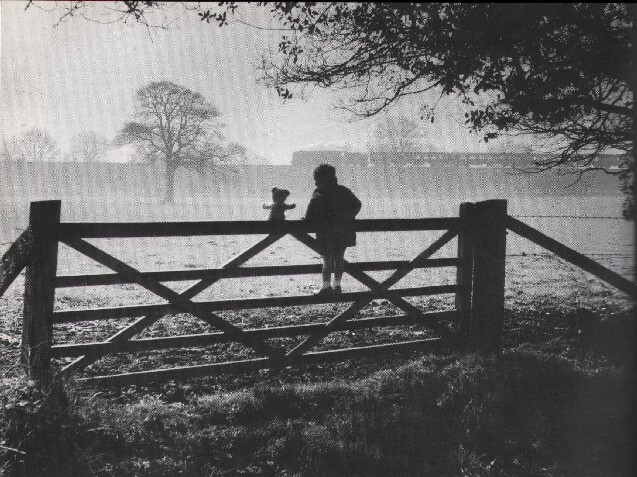 But, having seen pictures of myself from behind as a child, this lad could so easily have been me! He has exactly the same proportions and build. It doesn't hurt that I also have a soft spot for bears. 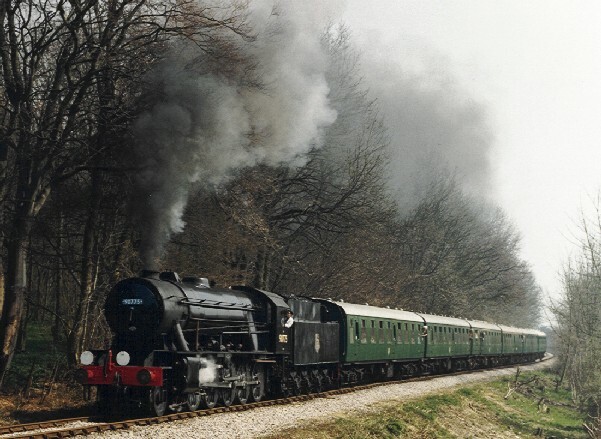 This is "Yankee" S160 No 575 heading down from Alton toward Alresford on the preserved Mid-Hants railway, The Watercress Line, Hampshire, UK. It was brought back from Greece having seen wartime and later peacetime service there. This is me, when I was 24!! 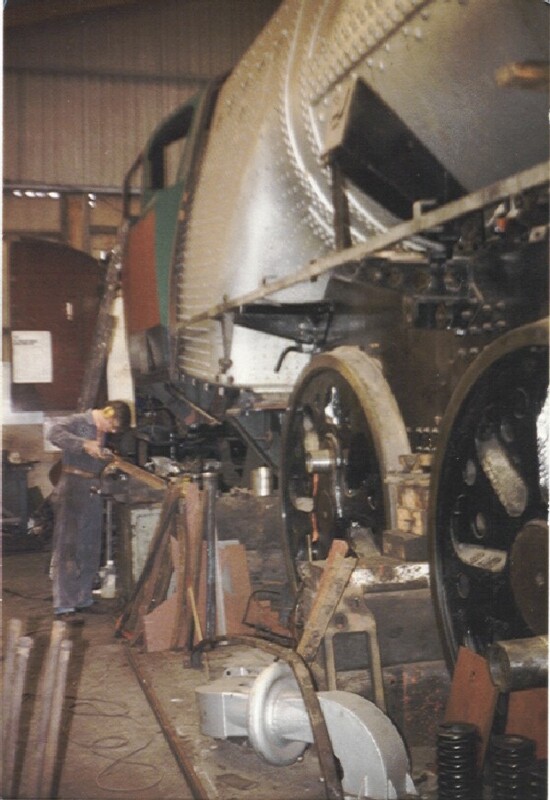 I was working on the preservation and return to service of Bulleid West Country "light" Pacific No.34105, Swanage at the Ropley shed on the Mid-Hants Railway. 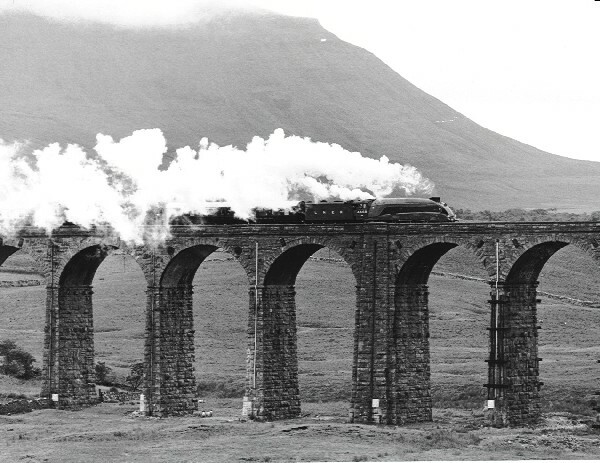 World Steam speed record holder (126mph) Gresley Pacific 4468 Mallard heading south on the Ribblehead viaduct shortly after being restored to working order. Pen-Y-Ghent in the background. 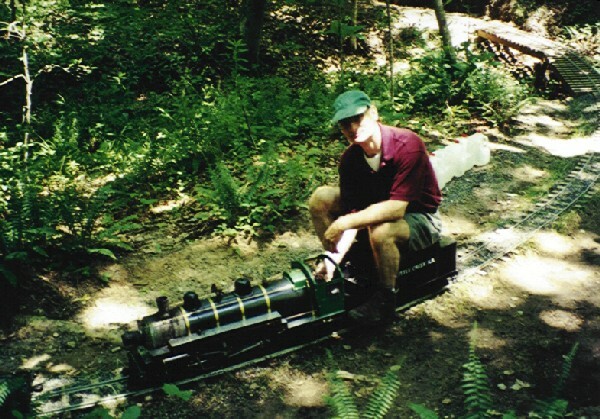 My friend Nelson's self-built1/12th scale Southern Atlantic on his home railroad complete with two trestle bridges! Replica of the broad gauge (7' 1/4") Iron Duke seen at Swindon. This class of locomotives was built by Daniel Gooch (Later as chief engineer on Brunel's Great Eastern iron steamship, laid the first transatlantic cable). Gooch was appointed CME to the London-Bath railway at the early age of 21 by Brunel who had realised that while he (Brunel) was a great maritime and civil engineer, he could not design steam locomotives! Brunel saw the potential in Daniel Gooch. 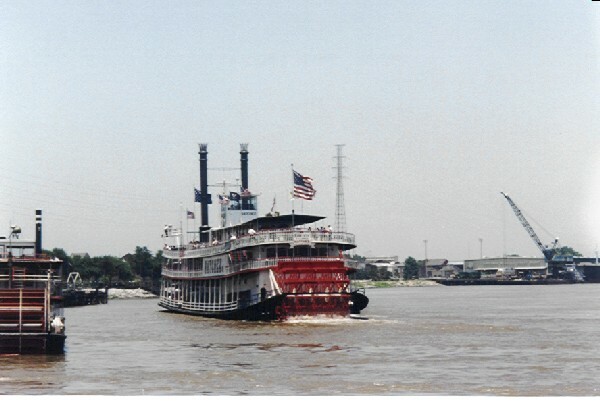 USS Natchez at New Orleans. 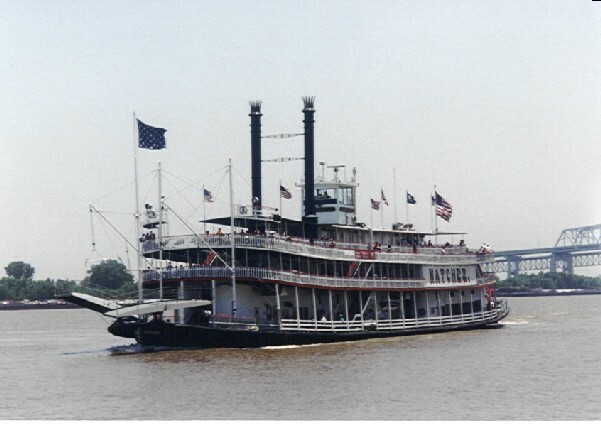 I was told that this was one of the last 6 operational steam sternwheelers. I spent the entire trip in the engine room trying to talk with the engineer. What with his southern accent and my english one, I doubt that either of us understood more than 50% of what we were saying but I know I was happy! There are two sets of tandem-compound cylinders, one for each crank at each end of the stern wheel. 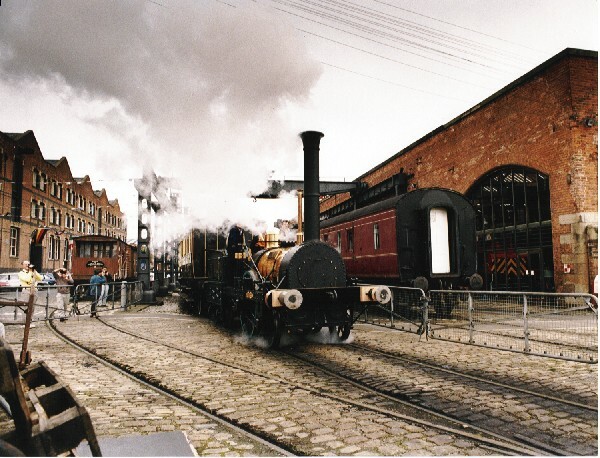 The two boilers are oil-fired.